Rapper known best as one member of the six piece K-pop boy band Boyfriend. The band made it's debut in May 2011 with their eponymous single "Boyfriend" and have since released several albums and won numerous awards, including Best Newcomer at the 21st Seoul Music Awards. He attended the Seoul School of the Performing Arts before training under JYP Entertainment for two years prior to joining Boyfriend. He made his acting debut in 2014 on the show The Magic Thousand-Character Classic. 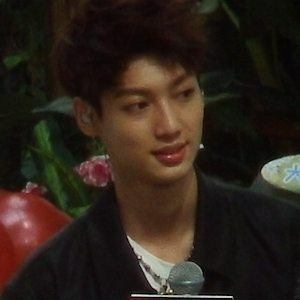 He is joined in Boyfriend by his twin brother Jo Youngmin. They are the first boy band to have twin members. They also have a younger brother named Hyunmin. He appeared alongside Sistar members Soyou, Bora, Dasom, and Hyolyn in their music video for the 2010 single "Push Push."